Dental market campaigns were provided to numerous clients at Levin Group, Inc., and were either based on pre-established templates or custom-designed from the ground up. They would be further formatted to fit specific needs across the gamut of dental specialties, from orthodontists and pediatricians to endodontists and periodontists. 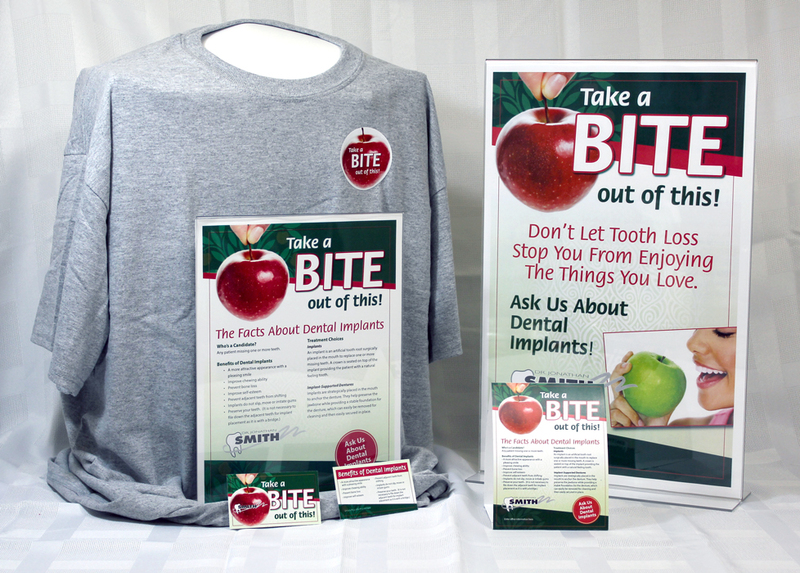 Materials for marketing campaigns varied regarding client needs and ranged from table tents, posters, flyers, info cards, and other distributable materials. Social media campaigns were integral components as well. The picture on the left illustrates some of the materials developed for the promotion of dental implants.